Bombers are the perfect jacket for the Fall. Why bombers? Well they can be added to any outfit. Whether you are wearing a dress, jeans or even overalls - they just add the cherry on top to your look! 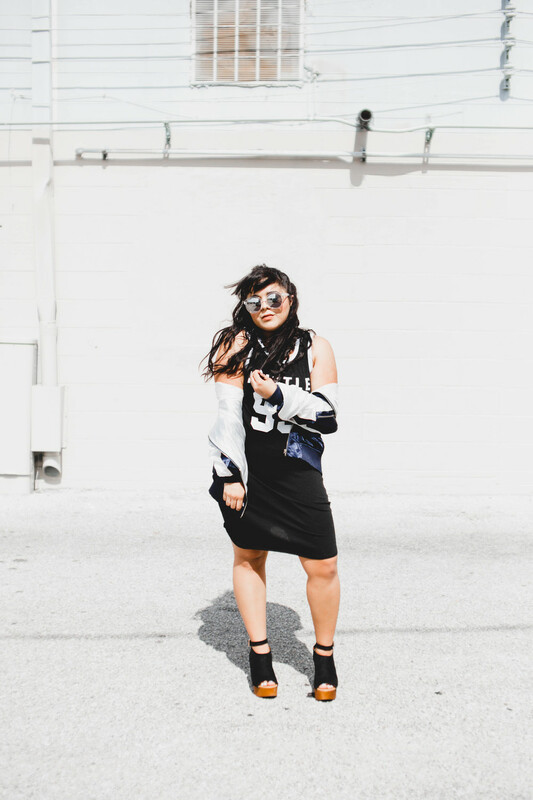 T-shirt dress are perfect for the transition from Summer to Fall. I've found that here in florida some days you just can't wear jeans because the heat is unbearable - yet when you have a dress on you can conquer the humidity with a smile... and still look cute! Boom! There you have it! Check out the A'GACI for all your back to school needs! Their clothing is so cute + affordable!